Whether you are going on a first date or a job interview, first impressions matter. You smile is a vital part of your first impression, but unsightly teeth are unfortunately common. If your teeth are stained, crooked, yellowed, or worn down, porcelain veneers are a terrific way to improve your smile. 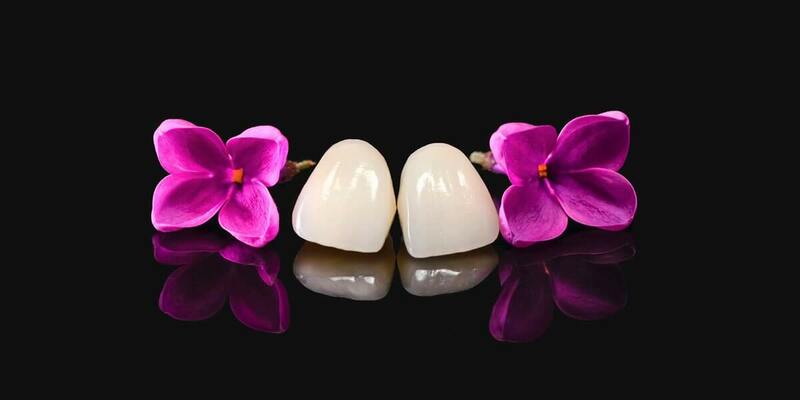 Porcelain veneers are very thin shells of color-matched dental porcelain that slip over the front of your teeth. Unlike crowns, they require very little healthy tooth enamel to be removed. They are chemically bonded to your teeth, making them a long-lasting, strong, and highly durable solution. Wear and tear: All teeth wear down over time, especially you tend to chew on ice or pens, or if you use your teeth as a tool. Minor breakage: Light trauma such as falls or minor sports injuries can cause chipping or cracking. Deep damage must be corrected, but chips and surface cracks can often be covered by veneers. Discoloration: Excessive fluoride consumption, large fillings, tetracycline use, root canals, and more can cause tooth discoloration. Veneers will hide this discoloration. Misshapen or uneven teeth: Few people have truly perfect teeth. Uneven and misshapen teeth are extremely common, and veneers can make your teeth appear more symmetrical. Minor gaps or crookedness: If your teeth are slightly gapped or crooked, you may not need to undergo a complex, long-lasting treatment such as braces or Invisalign. Instead, you might choose to simply cover them with porcelain veneers. Very few dental treatments are truly permanent, but porcelain veneers are one of the longest-lasting solutions. They can easily withstand biting and chewing forces and, with proper care, they typically last for far more than a decade. Porcelain veneers are also far less prone to yellowing and staining than natural teeth. Tooth whitening must be regularly repeated, but those with excellent oral hygiene will see their veneers continue to look white and healthy over time. Many people worry that porcelain veneers will give them a too-white, fake “game show host” smile. The reality, though, is that porcelain veneers closely mirror the sheen and translucency of natural teeth. They can also be color-matched to your existing smile. If you want a whiter smile, consider having your natural teeth whitened first, and then your veneers color-matched to your brighter teeth. Just remember that your veneers will remain that color, while you will need to have whitening performed regularly for all of your teeth to match. To make your smile look its best, we may suggest additional procedures to complement the look of your new veneers. Tooth whitening, Invisalign, and other procedures allow us to place only the veneers that you truly need rather than filling up your mouth. We will carefully assess your smile and discuss your goals for treatment, and then create a plan to create the smile of your dreams.